The Econo Lodge hotel in Hadley, MA is an easy stop on the road. Our hotel is near attractions like the Northampton Center for the Arts, Calvin Theatre, Hampshire Mall and the Pioneer Arts Center of Easthampton. 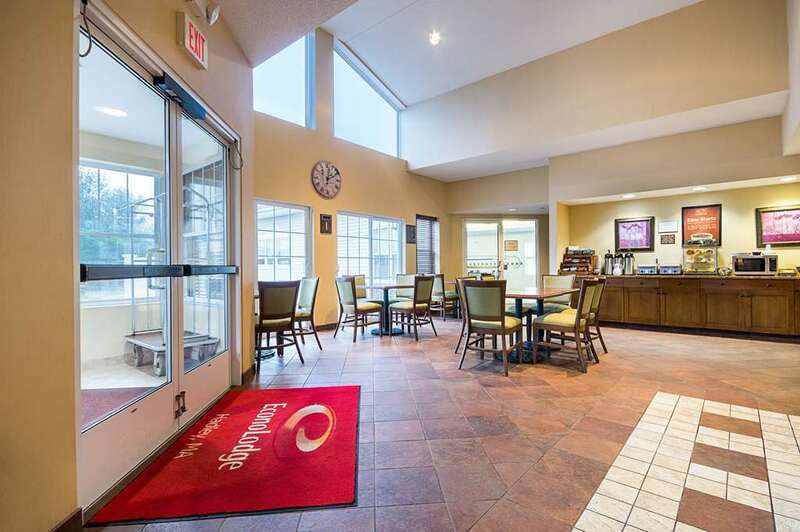 Amenities include free breakfast, free WiFi and an indoor heated pool. Guest rooms include TVs, hair dryers, coffee makers, irons and ironing boards. Long-distance travelers will appreciate our guest laundry services. We also offer membership to the Choice Privileges Program, which gives members the opportunity to earn valuable rewards points toward airline miles, gift cards and free hotel room nights. Mt Holyoke College Art Mus.